This may not seem like the “lightest” dish, but I got the recipe from My Clean Kitchen so that makes it healthy right!? I made this for a 4th of July BBQ, which couldn’t of been more fitting, because what is more american than bacon and corn (probably nothing on this continent lol)?! If you want to make this into a healthier version of itself, sub turkey bacon in or just take out the bacon all together (as you can see above, I made this vegetarian version for my girlfriends and I!). 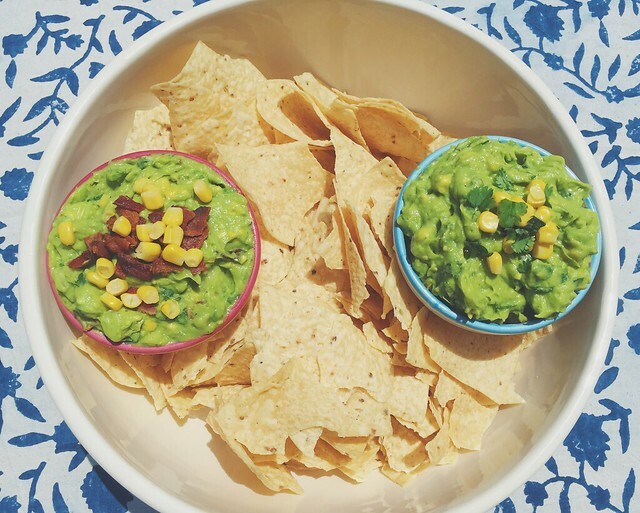 Whatever you decide to do, you’ll love this spiced-up guacamole recipe!! 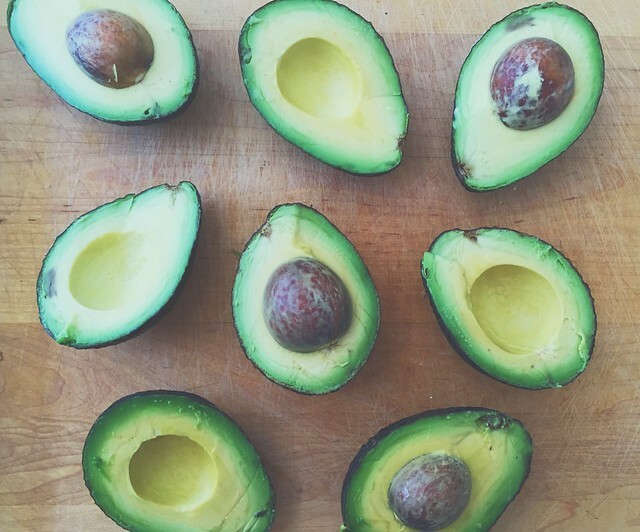 Directions: Remove the avocados from their shell and remove the pit. 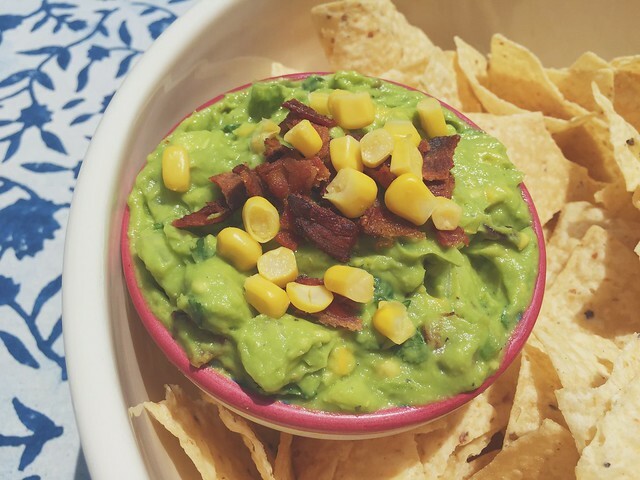 Place the avocado in a large bowl and mash until it becomes the desired creamy consistency. Stir in the corn kernels, bacon, onion, jalapeno and cilantro. Mix until all ingredients are well incorporated. 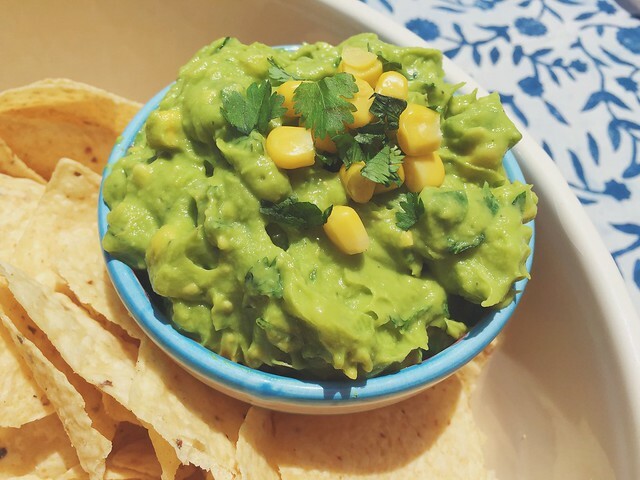 Squeeze in the fresh lime juice and mix until well incorporated into the guacamole. Season with salt and pepper to taste. 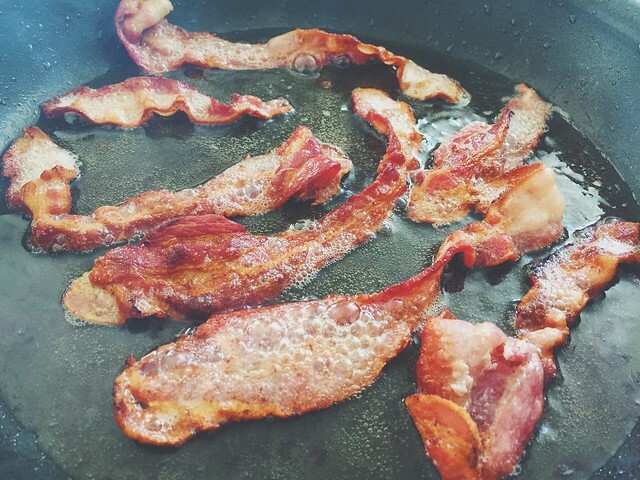 Garnish with the rest of the bacon and serve.